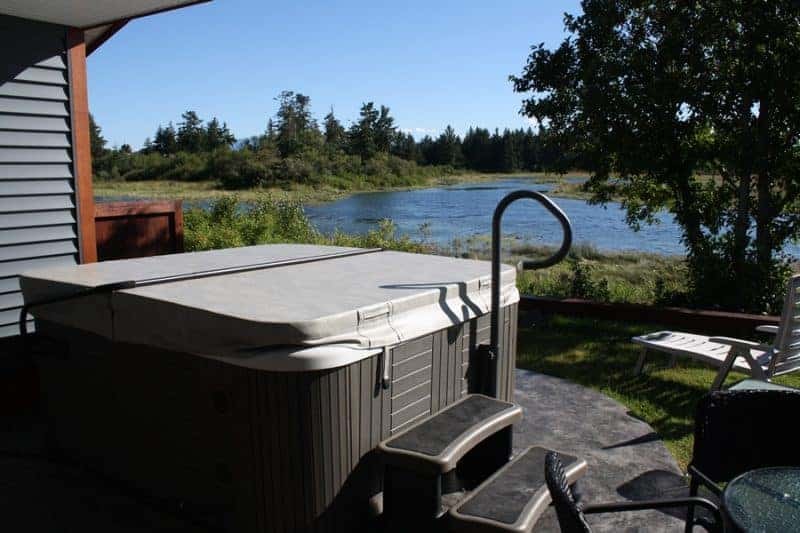 There are no words to describe how excited we are to spend some quality time in a Campbell River campground in the oceanfront community of Campbell River, BC on Vancouver Island with our friends at Thunderbird RV Campground and Cottages. Campbell River is located on the upper half of central Vancouver Island on the west coast of Canada. 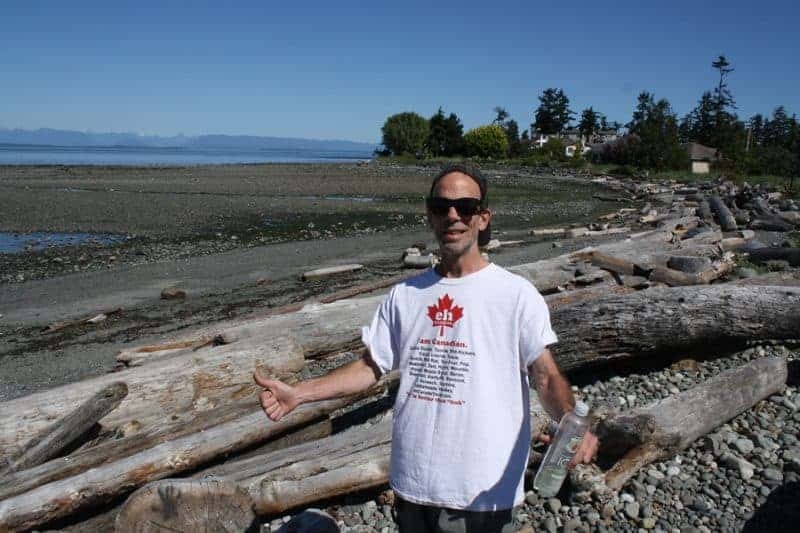 The Campbell River campground is situated on the Tyee Spit which is on the banks of the Campbell River and the shores of the Discovery Passage. Best of both worlds – a river estuary and the ocean. The Campbell River campground provides year round camping and accommodations. They have been around for over 35 years servicing campers coming to the region. We have stayed here on numerous occasions and have nothing but good things to say about our hosts and facilities. The Thunderbird RV Campground provides 68 fully serviced campsites (including big rig friendly pull-through, ocean view sites) for RVing. 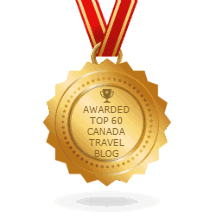 It is important to note they specialize in RVing and do not provide tenting sites. 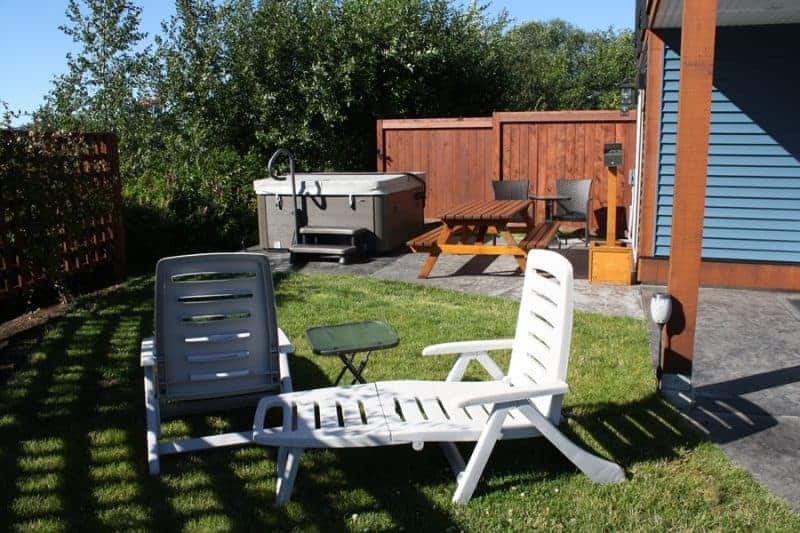 The Campbell River campground features four themed cottages decorated in First Nation art and history…. 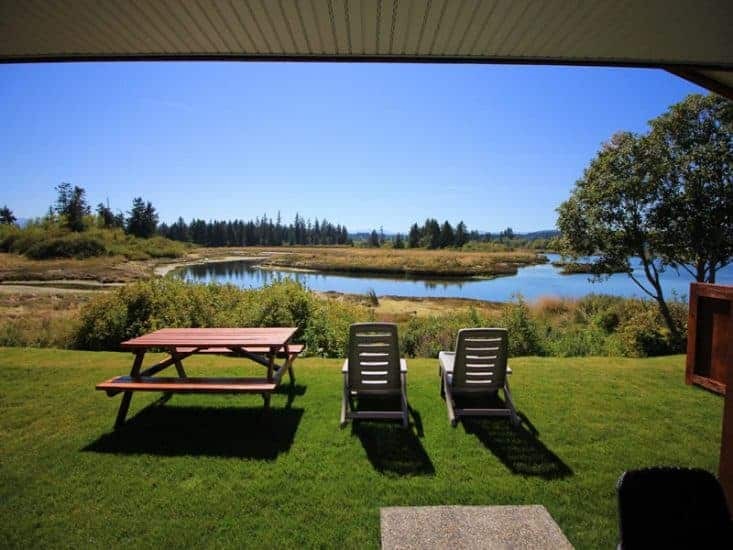 some with views of the Campbell River estuary and Discovery Passage. Some with hot tubs too! 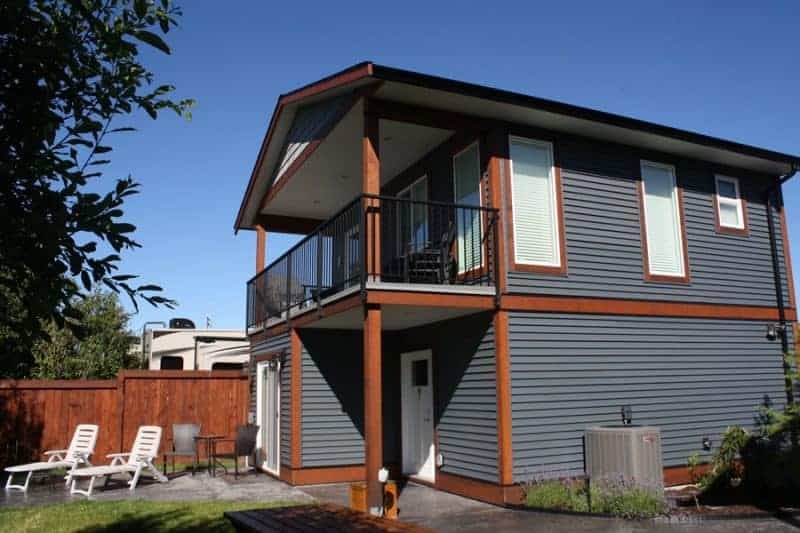 All Thunderbird cottages have upscale washrooms, beautiful kitchens, comfortable high-end beds, and are very well furnished. Stunning really, considering how many cottages we have seen across Canada. To start many guests at Thunderbird RV Campground and Cottages can enjoy birdwatching from their campsite. Some sites are situated right on the banks of the Campbell River estuary and have front row seats to birding opportunities like Bald Eagles, Blue Herons and more. Take a stroll out the front entrance of the Campbell River campground and immediately connect with a paved walking path. The path provides some easy access points to a sandy and/or rocky beach. But best yet, the pathway is unobstructed so there are wide open views of passing sailboats, yachts and fishing boats. Plus it is ideal for jogging, walking, biking, rollerblading and it is wheelchair and baby stroller friendly. One of the must do “Things To Do” in Campbell River, BC is to make some time and effort to explore the First Nation art on the waterfront in town and treat yourself out by dining in one of the many restaurants or outdoor patios. All waterfront paths lead to local First Nation art and culture, chainsaw art, sandy and rocky beaches and some amazing marine scenery and activity. It almost seems wherever we went there was an art piece on display. The SeaWalk is a 6 km paved pathway following the coastline of the Discovery Passage located south of downtown. Between you and I and the fence post, it is one of the best recreational oceanfront pathways on Vancouver Island, if not the best. The chainsaw carvings, the sandy beaches at low tide, the opportunity for ocean adventures and the marine activity will entertain you for days. The pathway connects to parks and is lined with sightseeing benches. It is wheelchair and stroller friendly most of the way too. Get out and enjoy! All and all, we wish to thank the people at Thunderbird RV Campground for making our stay so enjoyable. The weather helped too. It was beautiful. We are also extremely excited to launch our cross Canada road trip promoting adventure tourism in Canada from the Campbell River campground. 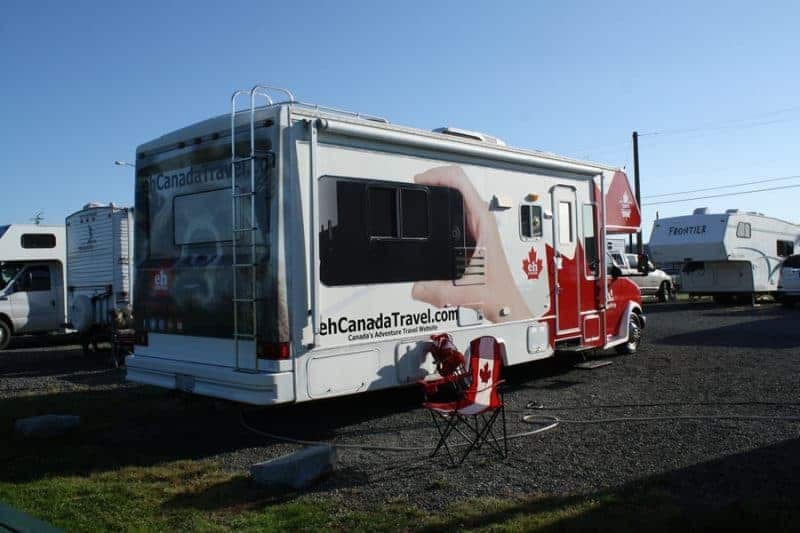 On our road trip travelling in the Maple Leaf RV, dubbed #ehroadtrip on social media, we will be meeting with advertising members, attending events, working with communities and doing some public speaking. Follow us on social media for our travel routes. Watch for the Maple Leaf RV in your community. Link to this campground’s website today!